It's tough to become a successful Hollywood director, but following these simple steps from an industry vet can help fast-track your fame. 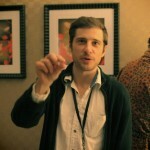 Kentucker Audley is an actor, filmmaker and programmer. He stars in Amy Seimetz’s Sun Don’t Shine, Ti West’s The Sacrament, and Dustin Guy Defa’s Bad Fever. He has directed four feature films, including Open Five, which was called one of the Top 25 films of 2010 by The New Yorker, and Open Five 2. He also runs NoBudge.com, which screens new indie films. Thanks for all the wonderful feedback for my last piece for Talkhouse Film about how to become a huge indie film sensation. I’m glad that I could help everyone get more Twitter followers, as that’s the number-one way to become a successful filmmaker. Unfortunately, I couldn’t fit all my knowledge into one piece so I’d love to spend some time now to offer more excellent tips that’ll help make your film a phenomenon. 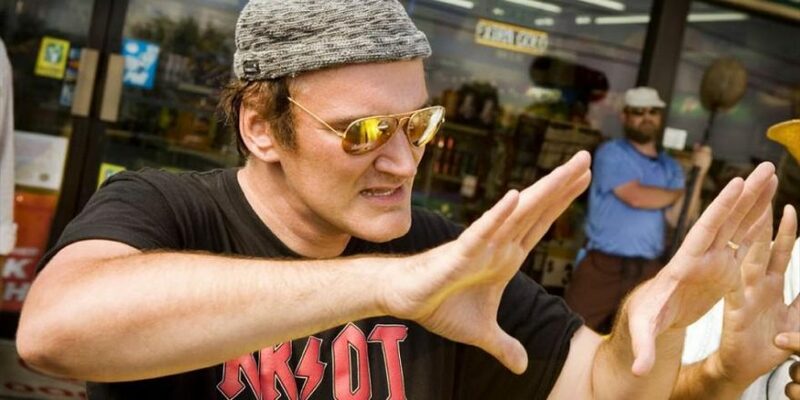 Pay close attention and you can join me in the ranks of world-famous directors…. You’ll remember one of my tips from last time was to cast a Vine celebrity in your lead role. That’s the easiest way to go about casting now, but if you would rather work with a normal actor instead, that’s fine too. Write down a list of the most popular current actors and actresses in the world. Now contact them in person! You can begin by stalking Hollywood hotspots like fancy restaurants or LAX airport. Look for TMZ cameramen and ask them who they are waiting for. Once you’ve found somebody on your list of most popular actors, come up behind them and start talking loudly to get their attention before they run off. Explain to them your story idea, paying special attention to the aspects of the character likely to win them awards. If you can’t personally get a good celebrity to star in your film, don’t worry, a great back-up plan is to sell your script to a big-shot producer. A good screenplay is gold in this town, and top indie producers will spend a fortune to buy the latest, greatest work from unknown writers. All you have to do is get into an elevator with a bigwig and start your pitch. (Another great place to meet an amazing producer is on the shuttle buses at Sundance!) Immediately start talking their ear off about your idea, tell them it’s a once-in-a-lifetime opportunity to buy your script now and that it’s an epic story where the characters overcome obstacles. Don’t say anything too specific about your plot because they might steal your idea, but give them a nice taste. Once they sign an NDA (non-disclosure agreement), they can hear more. Remember, the most important thing is to have incredibly high energy. Let them feel your passion, even if it doesn’t come out quite right. After five years of trying, if you don’t have any luck casting Jennifer Aniston, or selling your script to Harvey Weinstein, you need to start over and begin at square one: enter as many filmmaking contests as possible. Contests are a tremendous way to start a career in filmmaking. Don’t feel bad that you’ve failed for so long and you have nothing and now you have to make a fake commercial for Doritos’ Super Bowl Challenge. It only takes one big break, and if you win any top-tier contest, you either get your commercial played on TV or you get a huge budget to make a movie, like on Project Greenlight with Matt Damon and Ben Affleck. You may remember that show from when we were kids and the winning films, such as Stolen Summer and The Battle of Shaker Heights starring Shia LaBeouf. Those movies are now classics and your movie can be too if you win a contest. In the meantime, there’s another way to get ahead in the film world, and that’s to make what’s called a “short film.” This is basically just like a test movie to show people you have incredible chops. Since Sundance doesn’t have time to play all the long movies, they also screen these miniature tales so that talent agents can quickly watch a bunch of footage to scout for talent. Top agents and managers regularly sign new directors from these test movies, also called “calling cards,” and they will begin the process of wooing you with luxurious gifts and cash. Think long and hard about which agent you want to sign with because they can make or break your career. Make sure not to sign with the first one that emails you because then you seem desperate. 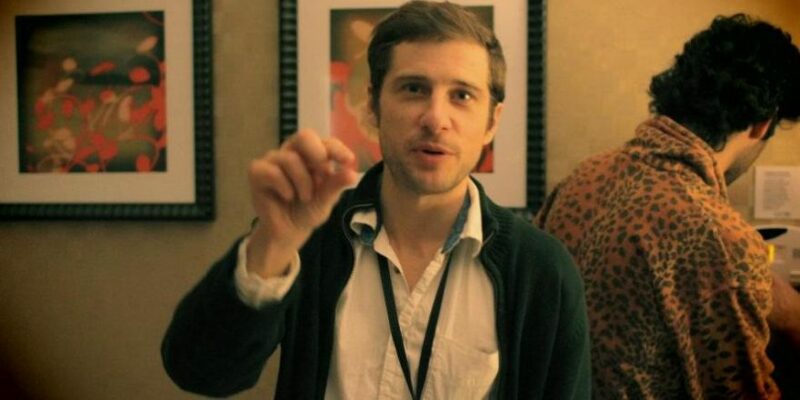 Short films aren’t made for the public, they just play at Sundance and for behind-the-scenes people in Hollywood. Once you sign with William Morris or CAA, they will start introducing you to celebrities and models, and that’s when you really need to start getting top names to attach to your film. With A-list talent on board, your agent will take care of the rest with a couple phone calls. Once you get on set to direct your very first film, you need to act important! Even if you are unsure of yourself or have doubts about the film, don’t ever show it. If you establish quickly that you are the most brilliant person on set, the crew will see that right away and start respecting you; if not, they will eat you alive. If anyone ruins a shot or makes some kind of mistake on the first day, make an example of them by berating them in front of everybody. It’s important that everyone notices you are in charge, and that you are an auteur with a master vision. It may help to dress like a famous director by searching for behind-the-scenes pictures of your favorite directors, or simply wearing a baseball cap like Steven Spielberg. Now that you have a powerful Hollywood team of agents and lawyers, you won’t have to worry about submitting your film to festivals or attracting major studios to release the film. That’s all taken care of. Festivals will beg to premiere your film and pay exorbitant fees in back-room deals, and it will be guaranteed a prime summer spot in 3,000 theaters across the country. Not many people know this, but Hollywood is basically a secret society that takes care of its members with lavish yacht vacations and sports cars. Once you are in, there’s not a lot left to worry about. Once you play the A-list festivals, your film will be bought by Sony Pictures or Fox Searchlight because they have clandestine deals with the top talent agencies. And even if your film is not really a hit with audiences, your team will rig the box office and make it at least in the top five for opening weekend. Now making your next movie won’t be a problem, and you can use this success to act even more important on set! There you have it. Thanks for letting me share with you more priceless knowledge that I’ve accrued from the last 10 years of being in the business. As always, try to stick close to these tips and I predict you’ll find tremendous success. Keep those cameras rolling!